Go check out the series of posts in the last few days over at Deep Sea News. They are blogging while at sea. Good stuff. 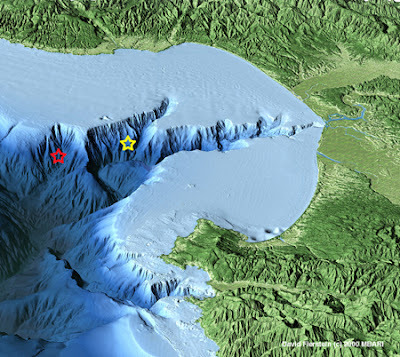 I especially like this post for this beautiful bathymetric image of Monterey submarine canyon…how fantastic. They are observing the biology in these high relief areas of the canyon and its tributaries.